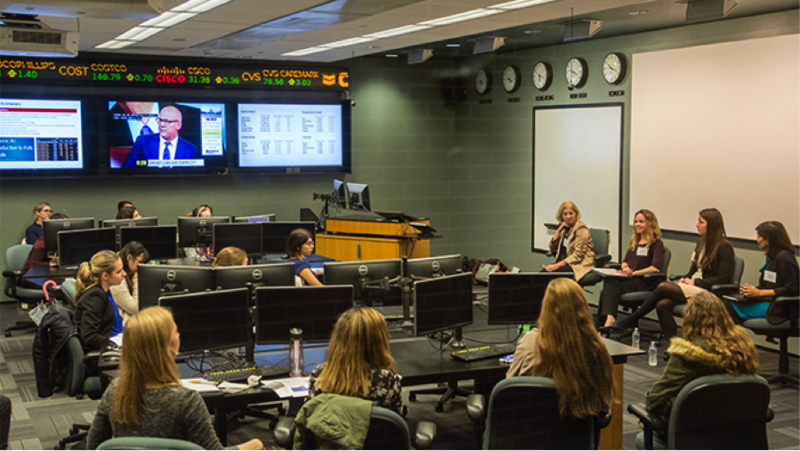 The Lerner College Trading Center was filled with young women and men, all sitting under the center’s scrolling real-time digital stock ticker, eagerly waiting to hear advice from expert women in finance. These expert financial professionals were on campus as part of the “Inve$t in Her Future” panel. The Chartered Financial Analyst (CFA) Society of Philadelphia partnered with UD’s Lerner College of Business and Economics to bring this panel to UD. 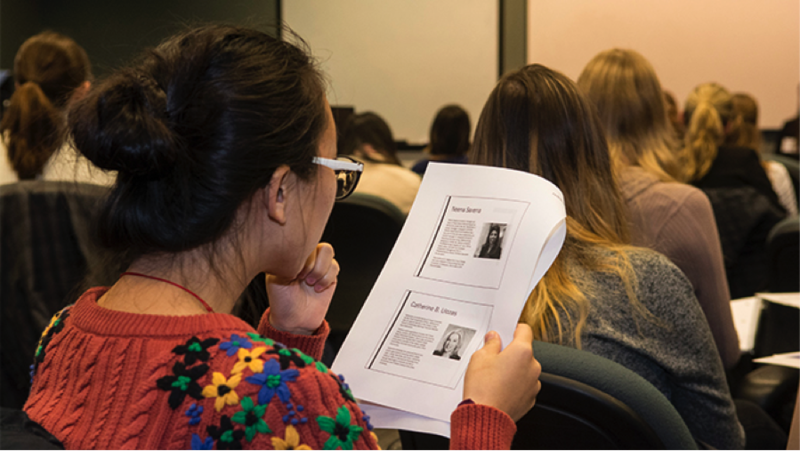 Watkins introduced the panel and began by discussing why the field of finance needs more women professionals, and why more women should consider careers as investment bankers. Watkins said less than 10 percent of investment industry professionals are women, although she emphasized that the industry is nothing like media portrayals like Wolf of Wall Street. “There are so many different roles available in this industry, requiring so many different kinds of skill sets,” Watkins said. Saxena discussed what Vanguard isn’t and the differences between the media’s portrayal of investment firms as greedy or self-serving. She said the company puts their clients first when making decisions. The panel also discussed some common mistakes that hopeful investment bankers make, and how to improve their resumes when applying for jobs. She urged students to include sports teams, clubs and other interests they are involved in, since this will show a level of engagement that companies are looking for. Ulozas urged the young women in the audience not to worry about working in a very numbers-oriented environment, citing her own dislike of algebra back in high school. All of the panelists also stressed the importance of networking.